NASHUA, N.H., May 21, 2018	(Newswire.com) - Today NETSHIELD Corporation’s President & CEO, Ed Wall, announced the Board of Director’s appointment of Mr. Jason Syversen as its newest Director. NETSHIELD Board Chairman, Eric Evans commented "We are very excited at having someone with Jason’s abilities and experience joining us on the board. He has made incredible impacts on the cyber security world and his visionary outlook will be key in the future of our company." 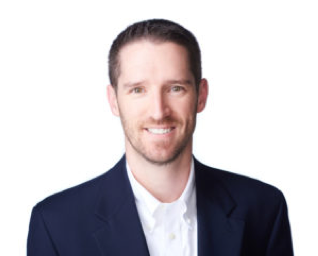 President & CEO Ed Wall said "Jason Syversen brings exceptional experience in the cyber security world and has personally led Siege Technologies from startup to acquisition” adding “Jason is not just a technology and business leader, but a man of incredible moral fiber. We will be working closely together as NETSHIELD expands our domestic and international markets while following our roadmap of product enhancements." I'm very pleased to have been invited to join the NETSHIELD Board of Directors. This is a great company that is primed for growth and I look forward to working with CEO Ed Wall, the rest of the board and the staff in charting the technological and business goals going forward. Director Jason Syversen stated "I’m very pleased to have been invited to join the NETSHIELD Board of Directors. This is a great company that is primed for growth and I look forward to working with CEO Ed Wall, the rest of the board and the staff in charting the technological and business goals going forward." Director Syversen has deep experience in engineering, cybersecurity and early-stage companies. He spent over a decade working as a computer engineer/researcher at firms such as BIODE, Inc., Sanders, a Lockheed Martin Company, BAE Systems and eventually joined DARPA (Defense Advanced Research Projects Agency) as a Program Manager in the Strategic Technology Office. In 2009, Mr. Syversen left DARPA and founded Siege Technologies in Manchester, N.H. The company grew ever since year one and brought numerous products to market through spinouts, direct sales and was successfully acquired by Nehemiah Security, a rapidly growing cybersecurity product firm based out of Tyson’s Corner, Virginia. Additionally, Mr. Syversen is a member of 10X Ventures, which is an early stage and beyond investment group that commits operational experience and funding to a select portfolio of companies. Jason serves as an advisor to several startup companies and is an investor in a half dozen more. Jason and his wife, Bethanee, have six children and reside in the greater Manchester area, where they are very involved with their church and philanthropic leadership. Director Syversen holds B.S. Degree in Computer Engineering from the University of Maine and a Masters Degree in Electrical Engineering from Worcester Polytechnic Institute with a concentration in networking and security. For more information, please contact NETSHIELD Corporation at securitysolutions@netshieldcorp.com. NETSHIELD Corporation. is a global leader in next generation Network Access Control focused on agentless breach prevention technologies.